2000 horsepower, more than 2000 horsepower? Lots of horsepower. Enough to push a Nissan GT-R to 7.98@185 mph in a quarter mile. It is a significant amount of power no mater how you look at it. In this post from Ivan "The Terrible" Phipps, driver and tech on the AMS Alpha Omega Nissan GT-R, he goes into what it took, failures, improvements, and what is to come. Just because our engines are supporting these power levels does not mean we are satisfied and calling it quits. 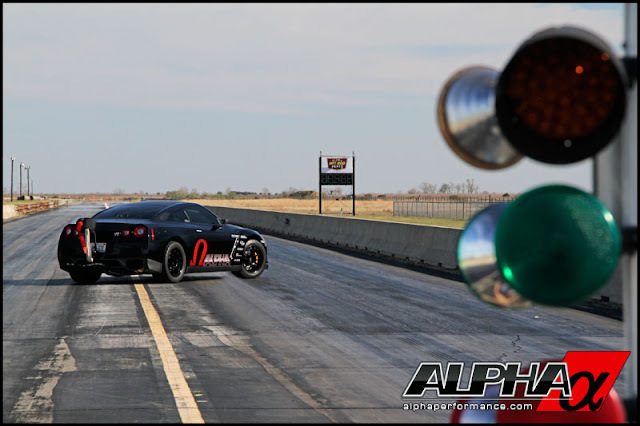 Not to rest on our laurels, Alpha Performance is constantly looking to improve on this already stellar motor. As we push beyond the 2000HP level we will find the next weak link and make improvements to overcome it. We are constantly striving to improve so the Alpha Engine Program is ever evolving. We look forward to the soon to be released Alpha VR38 Billet Block which will really take things to the next level. Watch Ivan assemble a VR38 in the video below.